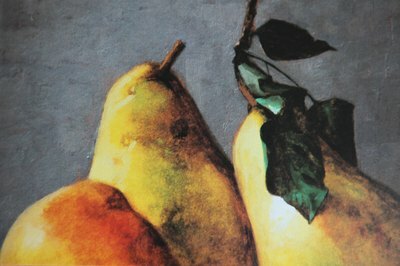 Both professional artists and art amateurs should have a solid knowledge of blending techniques when using colored pencils if they wish to create realistic shadows and highlights in a colored pencil drawing. Blending colors is especially instrumental in portraying open landscapes and other natural subjects. 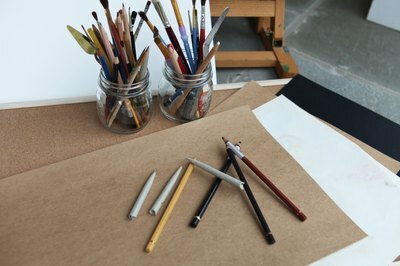 Acquire your supplies, including a durable illustration board or another surface for your drawing. 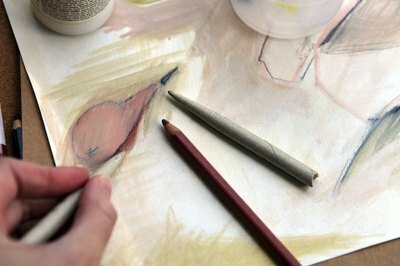 Get some colored pencils with soft pigment, as these pencils will leave a stronger impression on the drawing surface. 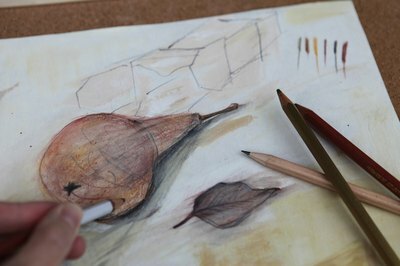 Begin by gently coloring in a section of your drawing with the sides of your colored pencils. Make sure you don't press too hard, but still leave a good amount of pigment on the drawing surface. You may have some white spots within your colored section at this point -- this is okay, as you'll blend them in later. With a small paint brush, or a cotton swab, apply a thin layer of turpenoid over the surface of your colored section. Go over the area with your small brush until the whole section is completely blended. 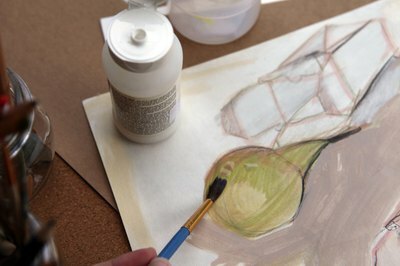 Note that the longer you blend the area, the lighter the final impression will be. Using turpenoid creates a softer blended look, which is great for depicting water and clear skies. Try another blending method on another colored section. Use a blender pencil, which resembles a plain wooden pencil. Press hard over your colored section with the blender to blend in the colors. The blender pencil creates a rougher blended look, which works well for grass and other natural landscapes. Use a combination of the two above methods to achieve your desired result. "Dynamic Art Projects For Children"; Denise M. Logan; 2005.